Waterton, a Chicago-based commercial real estate investor and operator, has bought a controlling interest in senior living developer and provider Pathway to Living. Also based in Chicago, Pathway’s portfolio consists of 32 properties across the Midwest, totaling 2,900 units. 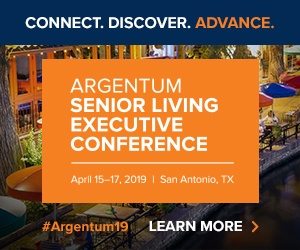 The deal deepens the relationship between two firms, which began in 2015 when Waterton bought a 50% stake in the company and took control of half of the six seats on Pathway to Living’s board, Pathway to Living CEO Jerry Finis told Senior Housing News. The deal further aligns Pathway to Living with a capital partner with experience operating a national real estate platform, which will facilitate the operator’s growth outside the Midwest — Pathway has another development in the pipeline in Philadelphia, Pennsylvania. Last year, Waterton closed on a $920 million fund, its largest ever. The firm closed on $1 billion in transactions last year, Waterton CEO David Schwartz told SHN. Don’t expect the Pathway deal to change that fund’s investment strategy. Through a value-add investment strategy, Waterton controls a $4.8 billion portfolio of multifamily and hotel assets across the country. Both Waterton and Pathway to Living have vertically integrated teams able to handle acquisitions, development and asset management. Pathway’s operational model was a major attraction to Waterton, Schwartz said. The deal does bring operational synergies to the partnership, such as the ability to raise capital and investment management expertise, Schwartz said. “We also have a market research function we now share with Pathway, investor relations and other services we’ll fold in, as needed,” he said. Waterton’s staff training platform, Resitality, was a draw to Pathway, Finis said. Waterton cross-trains its residential and hospitality staff in best practices, providing residents with the best qualities of both product types. Finis believes the hospitality component inherent to senior housing operations would be ideal for integrating into Resitality.